Love Supreme is returning to the glorious setting of Glynde Place near Brighton for another weekend of world class jazz and soul. We have a wide range of tickets on offer so if you want to camp for the whole weekend, bring your family or just come down for the day get your Early Bird tickets now and take advantage of up to 20% discount on the regular ticket price for a limited period only. 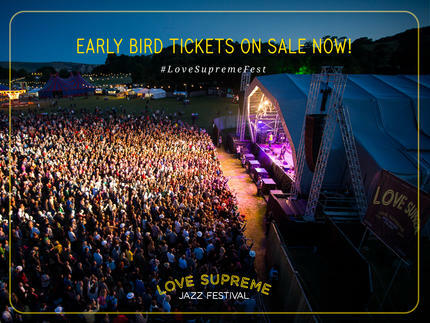 We’d love to hear you thoughts on Love Supreme – so why not help us by taking part in our survey. We’ll enter everyone who completes the survey into a draw to win VIP tickets for 2015. Meantime, we’re working hard to make sure Love Supreme 2015 is the biggest and best yet so get the date in your diary.